Peter Jordan married Caroline Louisa Norton on this day 114 years ago, October 22, 1900. 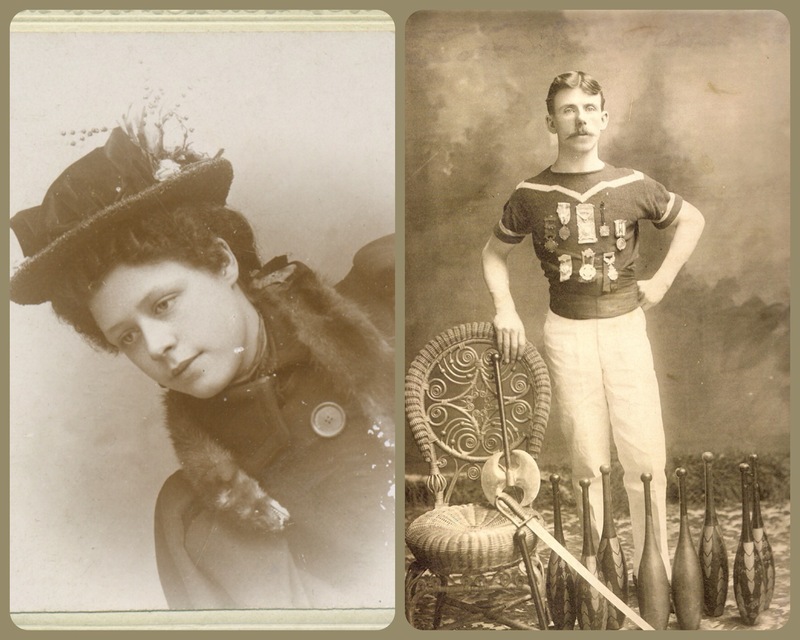 They were my great grandparents, my paternal grandmother’s parents to be more exact. Peter and Caroline were both living in Quebec City when they signed a marriage contract on October 20 and were married 2 days later at St. Mathew’s Church in Quebec City. Witnesses to their marriage was J.B. Jordan (Peter’s 1/2 brother) and Maude Hallett (possibly a friend). 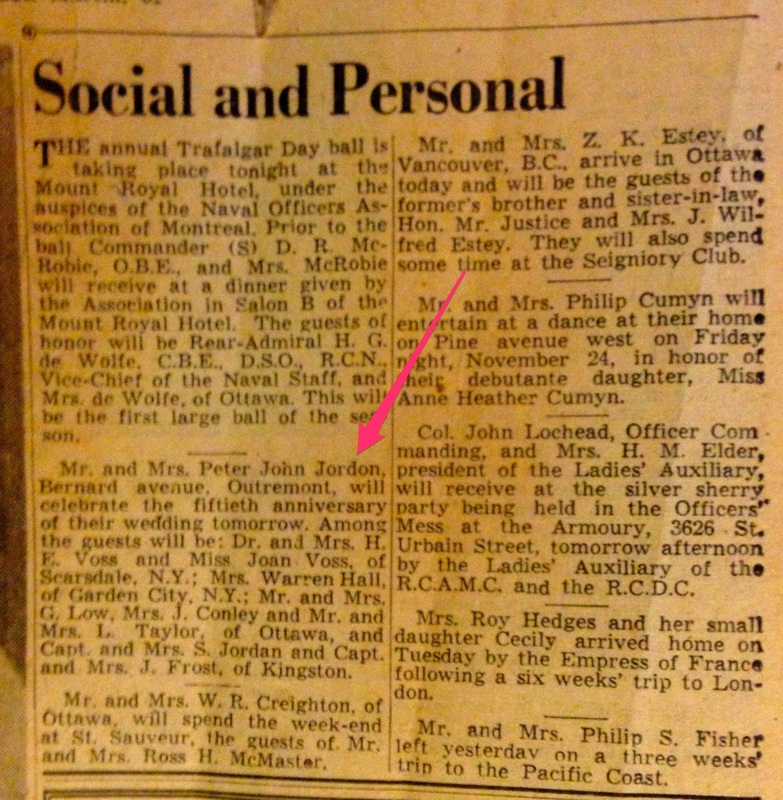 Peter & Caroline quickly disappear as I have not located them in the 1901 census but on September 30, 1901 their first child Beatrice Mary Victoria Jordan was born in Quebec City. The family’s next three children were boys Samuel, Allan & Herbert who was born in Montreal. 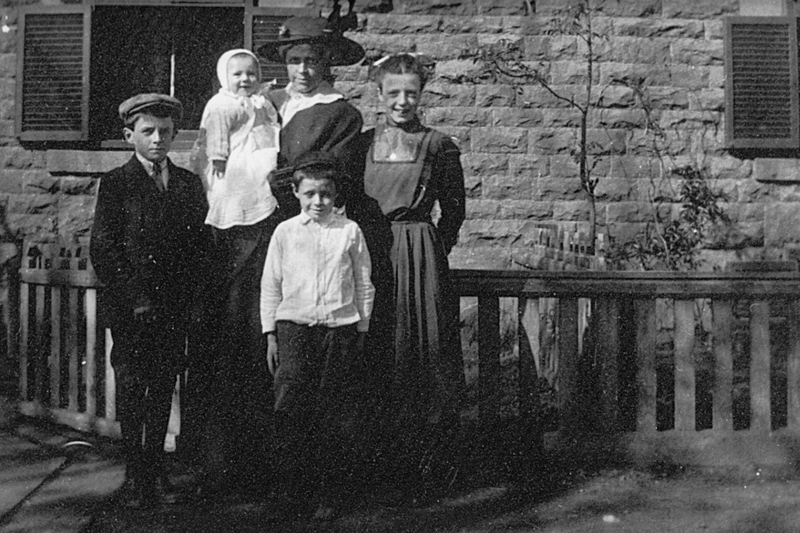 L-R Allan, Herbert with his mom Caroline, Beatrice and Samuel in front. Photo taken about 1915 in Montreal. Peter was a salesman later owning a tobacco shop on 179 McGill Street in Montreal. Peter & Caroline celebrated their 50th anniversary with friends and family in attendance. Although I did not have the pleasure of knowing either of them, as Caroline died in 1958 and Peter in 1967, I would have liked to have had the opportunity. Today I remember them and celebrate their 58 years of marriage.